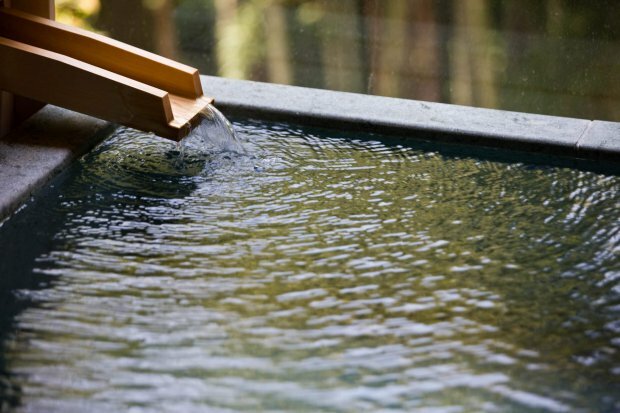 Heal mind and body with the warmth of hot spring waters in the historic Yamanaka Onsen. 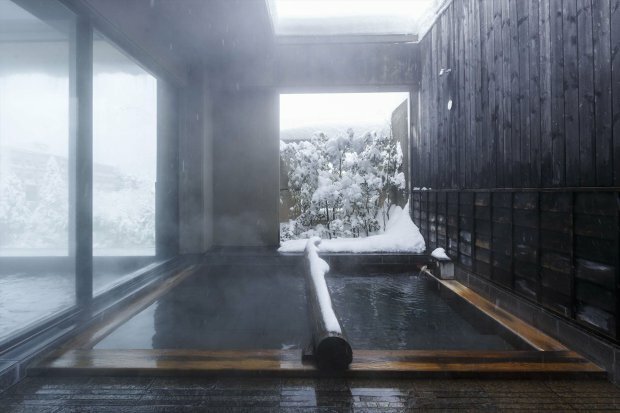 The public bath bathtub has a big log on top so you can enjoy the signs of nature while staying indoors. The outdoor bath offers a fantastic view when faint light illuminates the dusk. 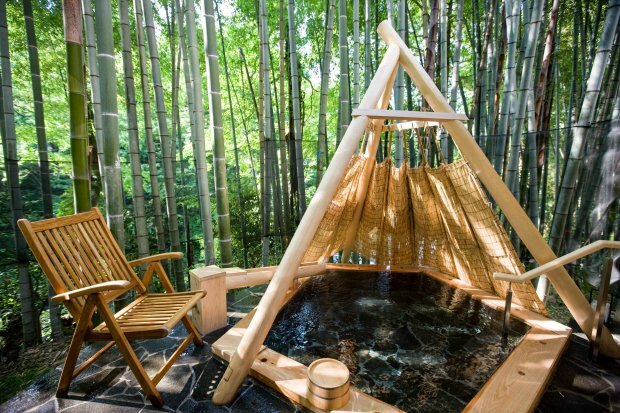 A couple can take a bath while viewing the bamboo grove. 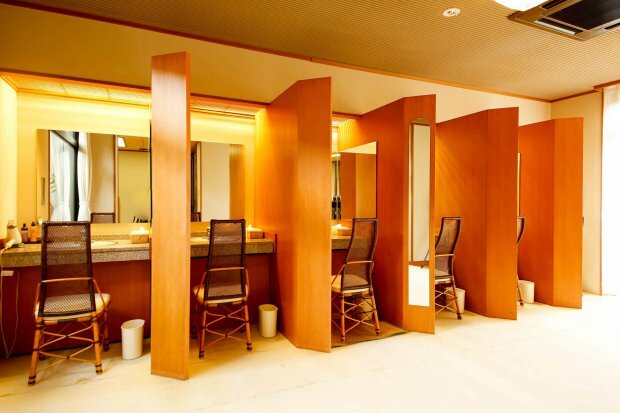 ※ You can not use it from 1:00 in the morning until 5:00. 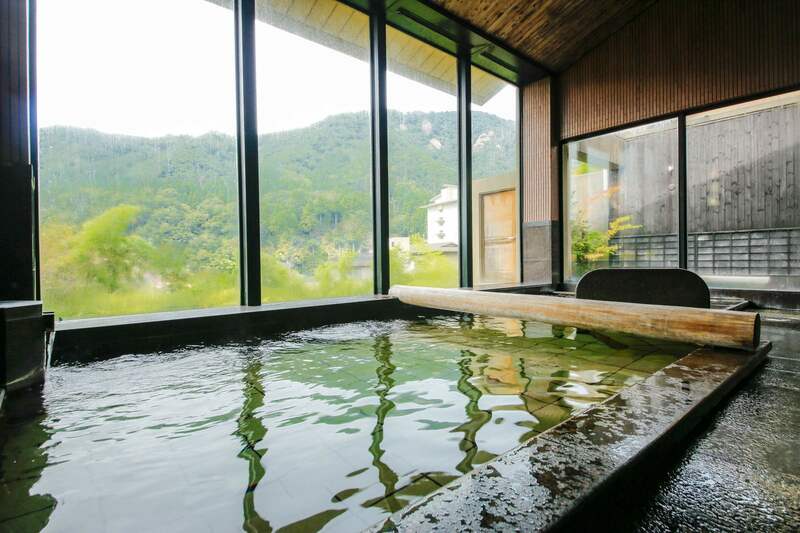 The charter open-air bath, facing the mountain stream, "竹風庵(Chikufu-an)" located inside the bamboo forest in our premises, permit to be inside nature and feel the wind, it is a superb private open-air bath where you can enjoy the flow of the verge of the mountain stream. You can use it privately, stretching wings as you please.. 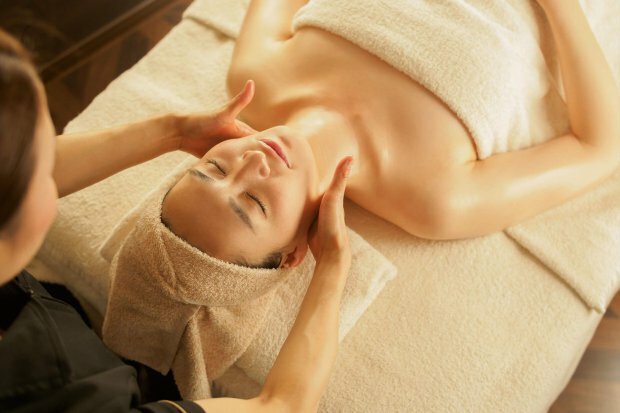 It is an open-air bath on the terrace where you can relax while enjoying view of bamboo forest and ripple streams..
We offer a special powder room where you can sit unfazed and do your skin care in the public bath. 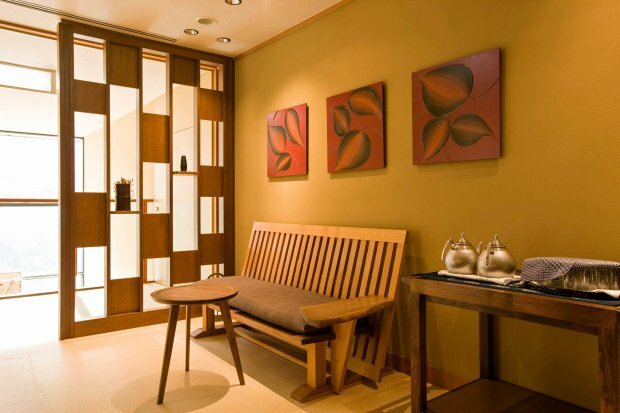 A modern and elegant space where you can relax after bathing. 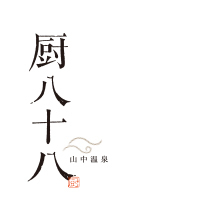 There is also a gallery exhibiting works of Mr. Shigeru Yagi, a Yamanaka painter who lives in Yamanaka Town, Aso famous as a player of the Shinobue concert at "Kitakuhachi" in a corner of Yu Tadashi.